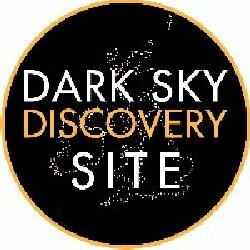 Visit Waternish would like to extend our warmest congratulations to the Isle of Coll who this last weekend were awarded the status of Dark Sky Community. This will have entailed a lot of hard work and dedication to achieve this – it truelly is a dark place! However don’t forget that Waternish have its own Dark Sky Discovery Sites in which to view the heavens – when the weather permits. Having recently viewed some Dark Skies on La Gomera and from Mt Tiede on Tenerife, I am happy to say that we can really rival them for clarity – although the weather is a bit of a down side.